More Auckland homes appear to be failing at auction, say industry players who suggest new LVR restrictions are doing their job of slowing down city investors. But some firms still report steady sales under the hammer - and say even those homes being passed in are still swiftly finding buyers. 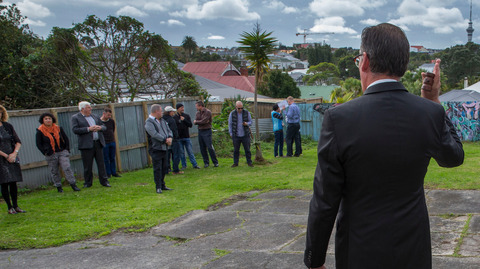 This week, interest.co.nz reported that, of 130 Auckland properties auctioned around the city by Barfoot and Thompson last week, an overall 39 per cent sold under the hammer. 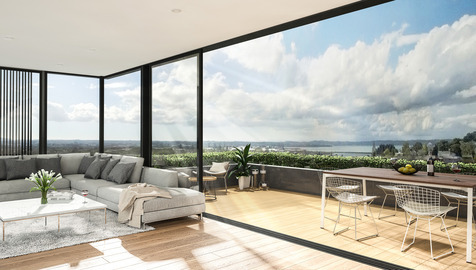 Recent figures cited by another auctioneer showed 45 per cent of homes being passed in on the North Shore, along with 40 per cent in central and eastern areas, and 28 per cent in South Auckland. Mortgage adviser Bruce Patten estimated around half of homes currently going to auction in Auckland were selling. "The problem you've got at the moment is vendors have expectations of the price their neighbour got back in March and think that's what their house is worth," he said. "It was never worth that, and most of them, within two or three days, are coming to the realisation that, do I take the offer that's on the table now, or do I run the risk of not selling?" QV national spokesperson Andrea Rush told the Herald there had been a noticeable change, with a "definite reduction" in auction clearance rates in Auckland over recent weeks and more properties either fetching no bids or being passed in compared with earlier in the year. 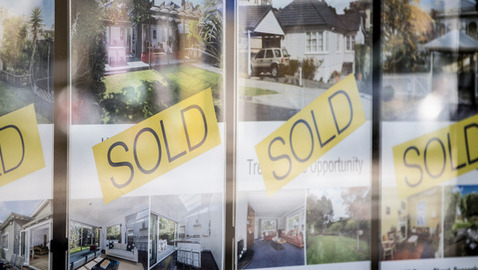 requiring a 40 per cent deposit from investors purchasing existing housing stock, leading to a "stabilisation" in value growth in some parts of the Auckland market. "There also appears to have been a shift in demand from the investor housing stock to properties with higher density development potential, which suggests some buyers may be getting the message that upward growth around existing town centres will eventually happen under the new unitary plan." But Rush said activity remained strong at the upper end of the market, above the $1.5 million mark, along with the new build market where the LVR brake didn't apply. Core Logic senior research analyst Nick Goodall said since June, sales volumes had stayed flat, or even fallen, in a spring period that normally brought an increase in valuations. While there had been a brief surge when the restriction was announced, prompting buyers to try to get through pre-approved loans, volumes had dropped away since. Bayleys auctioneer Daniel Coulsen had observed less urgency from buyers on the back of the LVR rules - he noted new property listings across Auckland in September were down 17.8 per cent on the same month last year - yet this hadn't been reflected at the firm's auctions, which were clearing around 80 per cent. "We definitely haven't seen a significant reduction in clearance rates . . . they've remained pretty constant." Auckland auctioneer Mark Sumich said while he'd seen fewer homes going under the hammer, there was a higher rate of sales among those that did. There had been significant activity in the upper end, "but in that lower level, there are fewer numbers of people fronting up - anything from $600,000 to a million bucks is proving to be quite hard work". Harcourts chief executive Chris Kennedy maintained the auction process remained popular, highly competitive and generally able to gain the best price. "Even if a property is passed in at auction, it does not mean it has failed to sell," Kennedy said. "Many properties are sold during post auction negotiations, and at the very least the auction process has armed your sales consultant with market intelligence about how much your property is worth." Elsewhere in the country, Rush said there had also been a drop in the number of attendees and buyers at auction in Tauranga and Hamilton, with clearance rates as well as buyer demand and inquiry having decreased "quite significantly" over recent weeks since the LVR changes were adopted by lending institutions. However, markets in Wellington and Dunedin appeared to be performing more strongly, and many regional centres including the Western Bay of Plenty, Rotorua, Whangarei, Napier, Hastings and Nelson were experiencing strong value growth. "Centres like Dunedin with entry level properties under $350,000 appear less impacted by the new LVR restrictions most likely due to the fact the new 40 per cent deposit requirement for investment properties is easier to achieve at a lower price point."